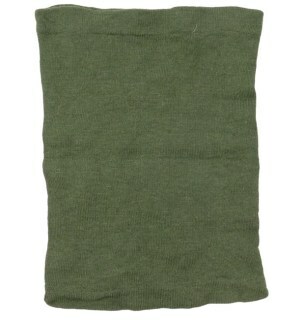 Nice original Wehrmacht Toque - 'Kopfschützer' ('oma' scarf). The wool/rayon blend toque is sized approximately 36 x 26 cms. The toque is not visible maker marked. Nice original period example in very good condition! Standard early war pattern Wehrmacht Compass (Marschkompaß). Nicely maker-marked with 'erv' indicating production by the company of 'Fritz Hofmann' in Erlangen. Complete with it's original often missing leather carrying strap. Nice set in good used condition! Binocular leather carrying strap and rain-cover (Trageriemen und Regenschutzdeckel für Doppelfernrohr). The strap and leather rain-cover are not visible maker marked or dated but look period correct. This would be a nice addition to a 'Dienstglas'. Priced accordingly! Wehrmacht (Heer) Wrist Watch (Dienstuhr). Nice original World War 2 period 'Grana' manual wind movement wrist watch, marked with the unique number 'D258478H' (Deutsche Heer). The wrist watch is in functional and running condition. That neat little item to complete your mannequin with! German Daimon 'Telko' Flashlight (Taschenlampe). The Daimon 'Telko' flashlight was used by both the Luftschutz and Wehrmacht and still retains most of it's original black paint. Nice original flashlight in good used condition! Wehrmacht (Heer) Wrist Watch (Dienstuhr). Nice original World War 2 period 'Nisus' manual wind movement wrist watch, marked with the unique number 'D10611H' (Deutsche Heer). The wrist watch is in functional and running condition. That neat little item to complete your mannequin with! This is a nice pair of Army Officer's gloves (Handschuhe für Offiziere). Made of light grey coloured smooth leather. The gloves are not visible maker marked or dated. This would be a great addition to an Army Dress Tunic. Nice original pair of gloves in very good condition! 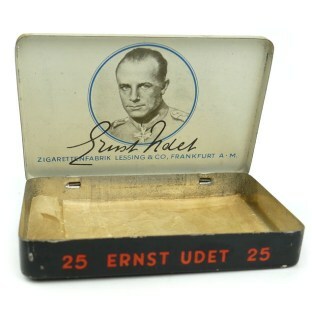 Rare original Wehrmacht Personal "Mica" Kit (Soldaten Wirtschaftskasten). 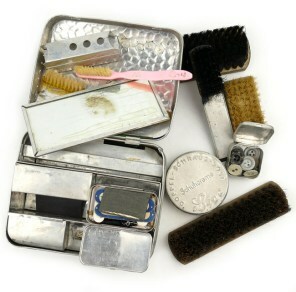 This kit was stored inside the mess kits and would contain all necessary personal items. The kit is complete with it's original inner frame and most original contents. Hard to find original set! 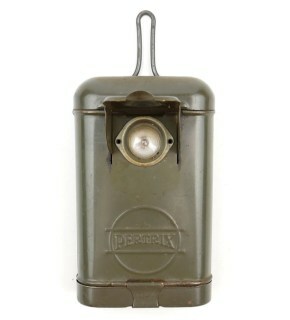 Nice original Wehrmacht 'Esbit' Field Stove (Esbitkocher). Model Number 9 as made by the 'Esbit Brennstoff-Fabrik' from Stuttgart. The stove is slightly rusted, the stove is in uncleaned condition. Nice original personal kit item! 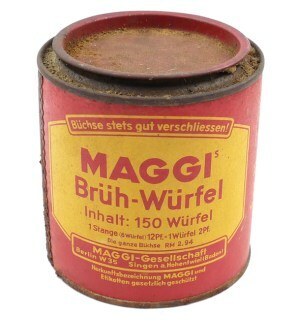 Wehrmacht Measuring Tape (Maßband). 20 meters long measuring tape, nicely 'WaA234' marked and dated 1941, nicely 'Heereseigentum' marked. Nice and decorative original piece in very good condition! Nice original Wehrmacht 'Esbit' Field Stove (Esbitkocher), complete with original fuel tablets (Tabletten). Model Number 9 as made by the 'Esbit Brennstoff-Fabrik' from Stuttgart. The stove is in slightly rusted condition. Nice original personal kit item! 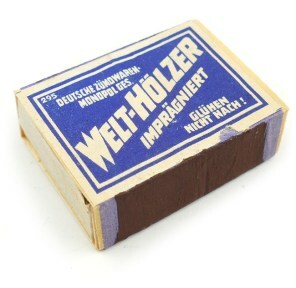 ᛋᛋ-Geb.Div.Nord Christmas 1943 Wooden Souvernir Box (Holzdose), most likely intended for tobacco. The box is made of Karelian birch and showing a branded stamp 'Weihnachten Kareliën 1943, ᛋᛋ-Geb.Div.Nord'. Rare and decorative original item! German World War 2 Period Braces (Hosenträger). The braces are nicely marked 'D.R.P. 31' on the leather parts. 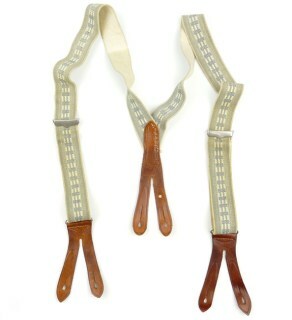 Nice original pair of braces in good used condition! 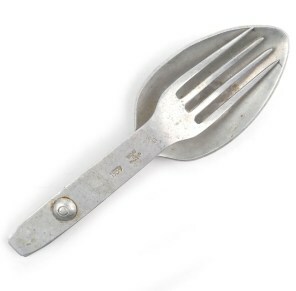 This is a nice original Wehrmacht Cutlery Set (Essbesteck). This is a nice original early aluminum and steel construction cutlery set, marked with a standard type eagle and maker marked and dated with 'T.W.S.41'. 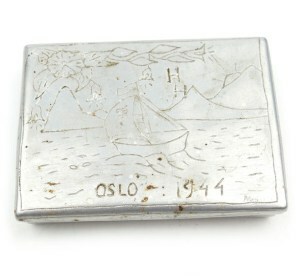 A nice hard to find piece to be stored in a soldiers or officers bread-bag! 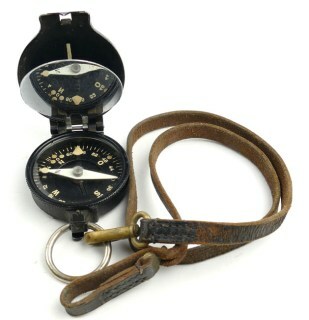 Standard Wehrmacht Compass (Marschkompaß). Nicely maker-marked by the company of 'Busch' from Rathenow. Complete with it's original cord. Nice example in very good condition! 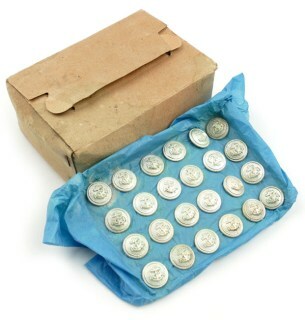 Full box of 18mm Kriegsmarine Buttons, the box contains 1 Gros (144 buttons), all on their original carton sheets. 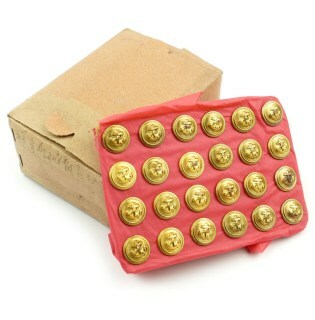 18mm golden-toned hand-polished buttons in mint and unissued condition. 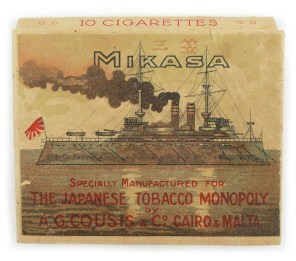 Dated 1942. Nice original package! Full box of 18mm Kriegsmarine Administrative Buttons, the box contains 1 Gros (144 buttons), all on their original carton sheets. 18mm silver-toned hand-polished buttons in mint and unissued condition. Dated 1942. Nice original package! Scarce white coloured Wehrmacht bakelite 'Salzbuchse' (or salt-dispenser). There are matching bakelite markings on all parts and all parts are dated 1942. Great and decorative original piece, extremely hard to find in white coloured bakelite! Late war Wehrmacht compass, 'Marschkompaß A' as issued from 1944 on. The compass is not visible maker marked. Nice example in good used condition! 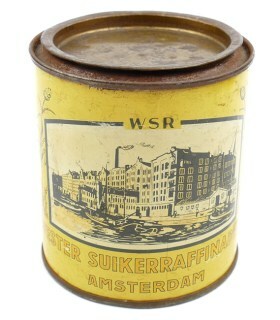 Metal Sugar Ration Tin, made by the Dutch 'Wester Suikerraffinaderij' in Amsterdam, specially produced for the Wehrmacht and marked with 'WEHRM' on the bottom. The tin is sized 11,5cms high and 10cms in diameter. Decorative original sugar tin!